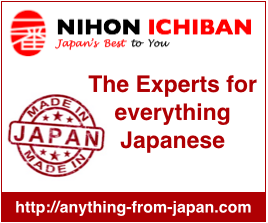 This is a directory of blogs that deal with news around Japan in English. They usually have multiple sources and post for various topics such as policy, economy, culture and many more. NewsOnJapan.com – is a news blog posting key headlines about Japan in various categories such as politics, economy, travel, society, etc. What Japan thinks – writes about trends in Japan by publishing facts and figures of translated opinion polls and surveys. 3YEN – is a blog that picks up selected news from Japan. JAPAN PROBE – This site exists since 2006 and regularly posts about news and entertainment in Japan. It is managed by a group of co-authors and regularly featured by other blogs. Thanks for sharing your ideas. I’d personally also like to mention that video games have been actually evolving. Modern technology and innovations have aided create reasonable and enjoyable games. These types of entertainment games were not as sensible when the concept was being tried. Just like other forms of know-how, video games too have had to advance via many many years. This is testimony to the fast progression of video games.